The third-generation Honda Pilot takes a bow. Amongst three-row, midsize crossover utility vehicles, the Honda Pilot has made a name for itself. This seven-passenger model offers standard front-wheel drive and available all-wheel drive, is powered by a V6 engine, and is all new for 2016. As before, it offers seating for up to eight. Business has been good for Honda, arguably one of the most conservative automakers in the world. Three models — the Civic compact coupe and sedan (and soon hatchback), the compact CR-V crossover, and the midsize Accord coupe and sedan — account for the lion’s share of this brand’s business. But it is models such as the Pilot and the Odyssey minivan that have kept Honda faithful loyal to the brand, vehicles with higher profit margins too. When Honda introduced the Pilot in 2003, it represented the leading-edge of midsize car-platform-based models. At the time, its top competitors from Chevrolet, Toyota, Ford, Nissan, and Chrysler were dominated by traditional body-on-frame SUVs, models typically heavier, clunkier, and simply less refined than today’s crossovers. Since then, the Toyota Highlander, Ford Explorer, Nissan Pathfinder, and Dodge Durango have made the crossover switch. GM also released a slew of new crossovers in the GMC Acadia, Chevrolet Traverse, and the Buick Enclave. But Honda was already entrenched in the segment and enjoying the sales boost that come with it. 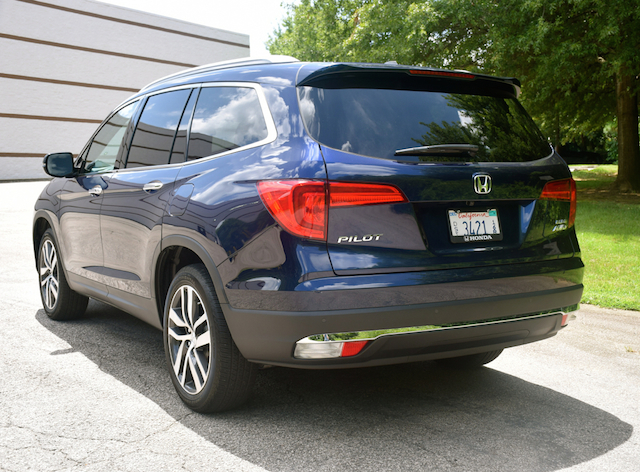 Honda offers the 2016 Pilot in five trims: LX ($30,345), EX ($32,780), EX-L ($36,255), Touring ($41,370), and Elite ($46,770). Front-wheel drive is standard across the model line, except in the Elite edition. Otherwise, add $1,800 to opt for all-wheel drive. In keeping with Honda’s approach to the market, the third-generation Pilot maintains a conservative expression. At the same time, the current model offers a sleek and athletic body, losing the previous boxiness of the first- and second-generation models. The new model is more aerodynamic with its curved front fascia, canted windshield, flowing roof and belt lines, and rounded corners. Standard for 2016 are LED taillights. Also available are 20-inch wheels, LED projector headlights, and LED daytime running lights. For the first time, 20-inch wheels and a panoramic glass roof are available. Manufacturers typically supply top trim level models to media folk and that means we may skew our reviews toward the more expensive models. What all models do have in common include the following: alloy wheels, all-season tires, a MacPherson strut front suspension, a multi-link rear suspension, electric power-assisted steering, and front and rear stabilizer bars. Also available depending on upper trim models are fog lights, a power moonroof, power tailgate, roof rails, parking sensors, and a panoramic roof. Inside, the Pilot continues as before with standard seating for seven in a 2-2-3 arrangement or for eight in a 2-3-3 layout. But swapping out the captain’s chairs for a split folding bench seat means you also lose the second-row console featuring a pair of cup holders and a large storage tray. That tray is open and can hold your tablet. 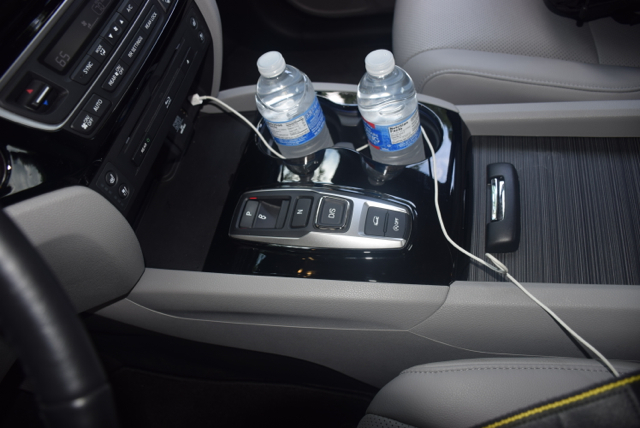 And in the Elite edition, you can connect to a USB port, an auxiliary outlet, or plug into the 115-volt outlet. Headphone connection points are also present — all connection points can be found at the rear of the front center console. All models come equipped with power accessories, push button start, a tilt and telescopic steering column, a sunglasses holder, map lights, floor mats, cargo area hooks, and tie downs, a cargo storage light, and a hidden storage well. This model also comes with 14 beverage holders — two in the first row and six each in the second and third rows. 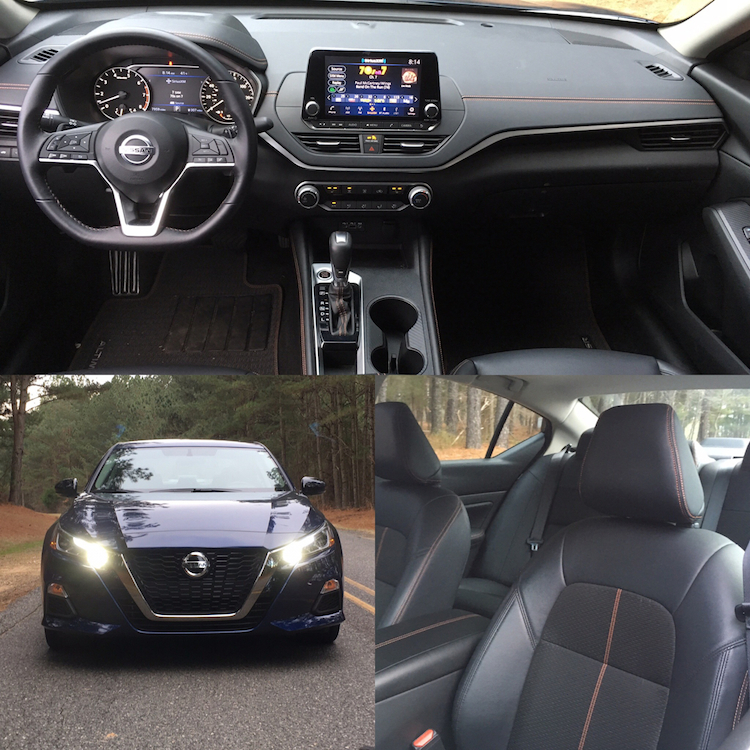 As for connectivity, you’ll find front, center, and rear 12-volt outlets (no rear outlet in the LX), an MP3/auxiliary input jack, and multiple USB ports. The standard audio package is a 200-watt, 7-speaker system with a five-inch screen, and Bluetooth connectivity. Beyond the LX edition, you’ll find an eight-inch display, HondaLink, SiriusXM satellite radio, and Pandora compatibility. Some models make available a navigation system (available with the EX-L and standard on the Touring and Elite editions), HD radio, and a 540-watt, 10-speaker audio system. The Pilot Elite comes elegantly dressed with soft touch materials liberally used throughout the cabin. Contrasting upper and lower dashboard colors give this SUV pop as does the color-coordinated trim dividing same. Yes, you’ll find plastics throughout the cabin, but they’re tastefully presented and typically useful for wiping down surfaces such as cup holders, door inlays, handles, and the like. Standard fabric seats give way to leather in the EX-L on up. A leather-wrapped steering wheel is added at this level too. The instrument panel is the same across the model line with indicator lights the only difference for some models. The electronic interface is composed of a large tachometer and a speedometer with the driver information digitally displayed between the two. Honda orders the center stack with the color display on tap, itself flanked by a pair of vents. Beneath that are controls for the climate system, a CD player, and seat heating and cooling buttons. At the base of the stack is a 12-volt outlet and two USB ports. An open storage area suitable for housing your smartphone is also present. Dividing the front seats is a funky transmission shifter and two cup holders. I say “funky” because instead of a stick you get switches for shifting. Park, neutral, and drive are represented by push down switches. To place the transmission in reverse, you need to pull the switch toward the rear. 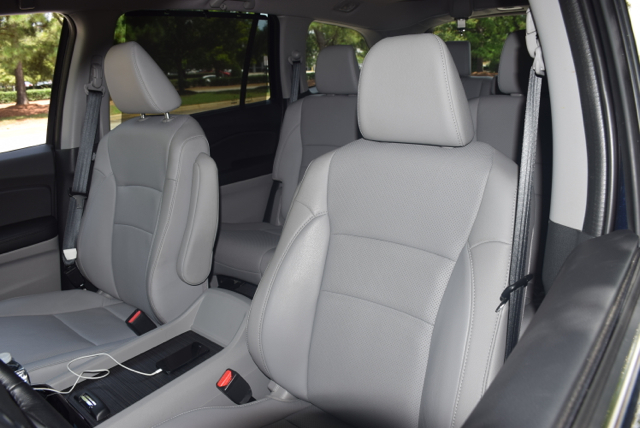 If you’re a fan of clever center console compartments, the 2016 Pilot has this nailed down. 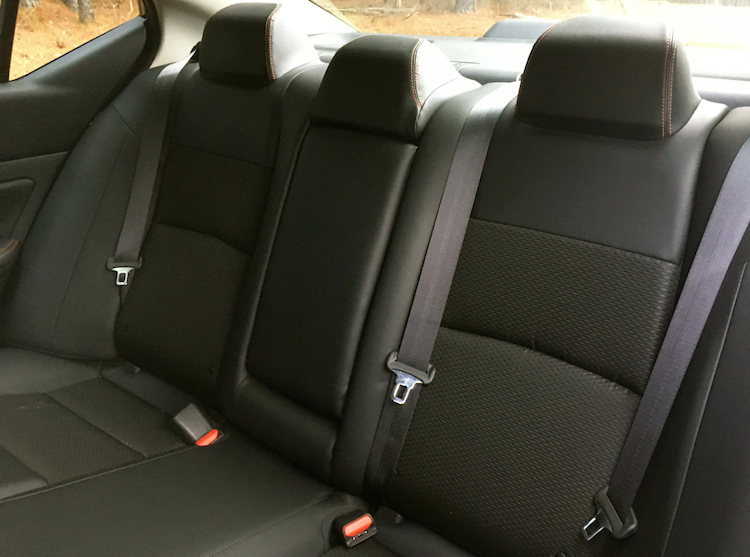 With this, Honda dispenses the traditional armrest — both front seats have drop down armrests — and goes with a deep storage area with a compartment tray and the expected 12-volt outlet, USB port, and an auxiliary port. The top of the unit slides back, making it easy to reach inside. 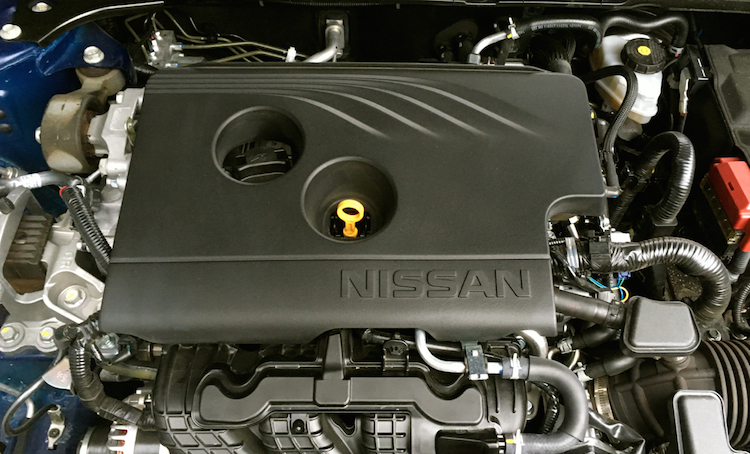 If the 3.5-liter, V6 engine seems familiar, it is. But only in size. 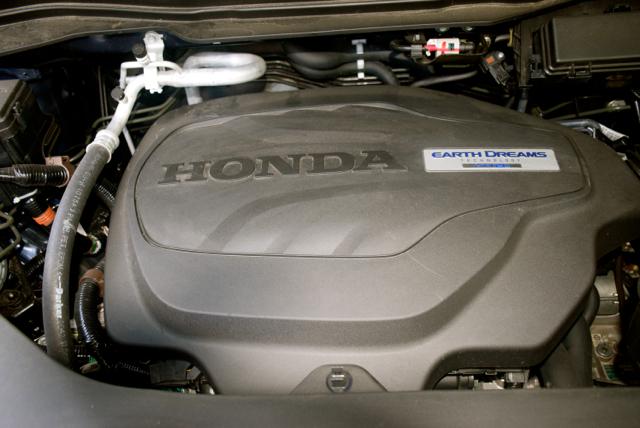 The latest version is all-new and imbued with Honda Earth Dreams technology. Specifically, this direct-injected engine has variable cylinder management, representing cylinder deactivation technology. This means that half the engine’s cylinders are shut down when not needed, such as at highway cruising speed. This change also enables the Pilot to squeeze out an extra one mpg around town and two mpg on the highway. 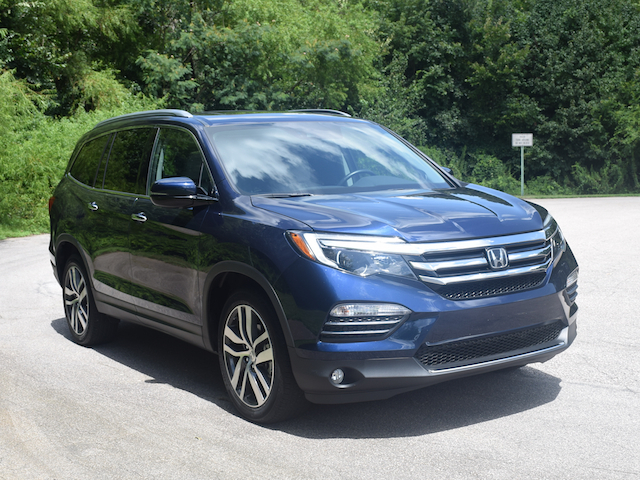 Importantly, the 2016 Pilot is no less powerful than the outgoing model. In fact, horsepower is boosted from 250 hp to 280 hp; torque improves from 253 foot-pounds to 262 foot-pounds. As before, a six-speed automatic transmission is standard, but if you choose the Touring or Elite editions, then you get an all-new nine-speed automatic transmission. 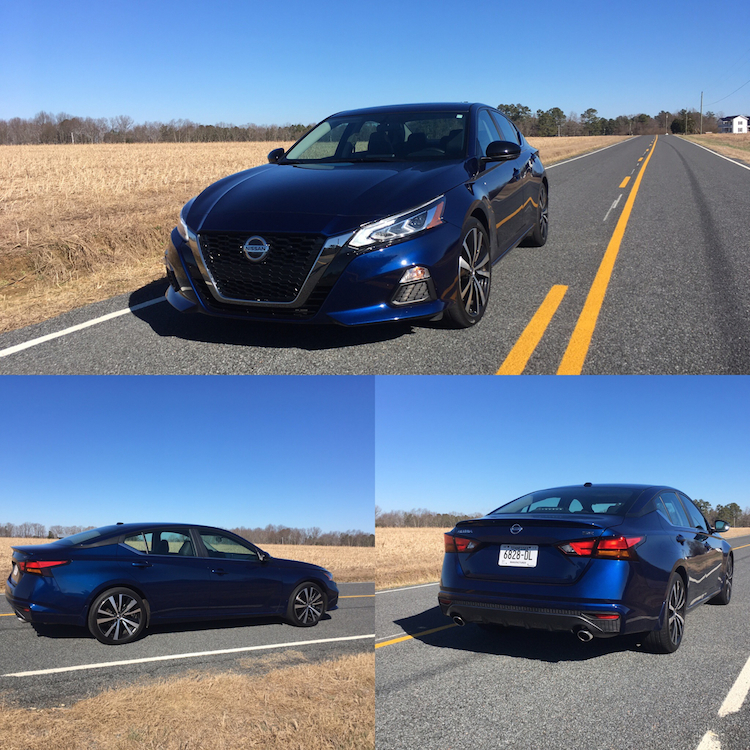 The new transmission was procured from ZF Friedrichshafen’s factory in South Carolina and has already found its way into various Acura, Chrysler, Jeep, and Land Rover models. Step on the gas pedal and the 2016 Pilot presses forward. As the transmission shifts through the lower gears, it does so seamlessly. At highway speeds, some hesitation is apparent, although it is safe to say it isn’t something you’ll experience all the time. Generally, if you press hard on the accelerator, the transmission may not shift up through the higher gears immediately. Other reporters have said this issue is much more magnified while ascending and descending hills as the transmission hunts for the correct gear. My mostly flat land drives didn’t reveal the same level of hesitation and if the problem is still apparent, Honda may have “cured” the issue with a software patch. 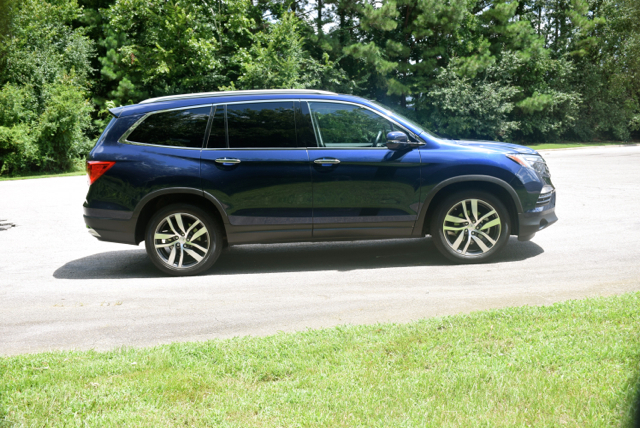 Beyond the transmission quirks, the 2016 Pilot handles well and the brakes are terrific. You won’t find quite the composed experience you would in a luxury SUV such as the similar Acura MDX, but you should find it more than satisfactory. Given that the Pilot shares its architecture with the competent Odyssey, none of this should be surprising. 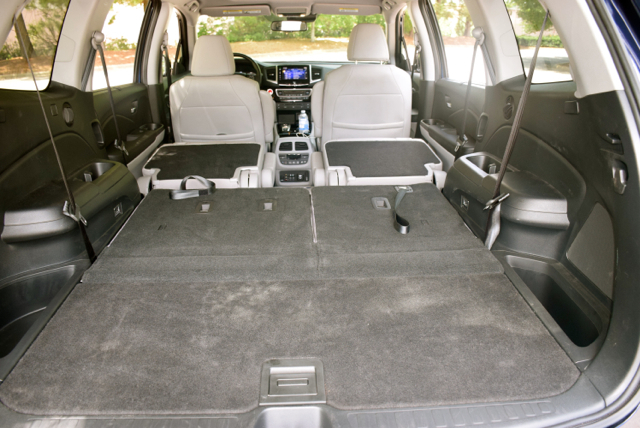 So, where should you begin to look at the Honda Pilot? If you’re a safety fan, then any model available with Honda LaneWatch, lane keeping assist, and adaptive cruise control should suffice. These so-called driver assist technologies are available or standard on all models except for the LX edition. Related to this, the 2016 Honda Pilot earned the Insurance Institute for Highway Safety (IIHS) Top Safety Pick+ award, the institute’s highest honor. If you want automatic high-beam headlights or the blind spot information system with cross traffic monitor, only the Elite model offers this. But that also means going with the nine-speed transmission and possible problems you may encounter. 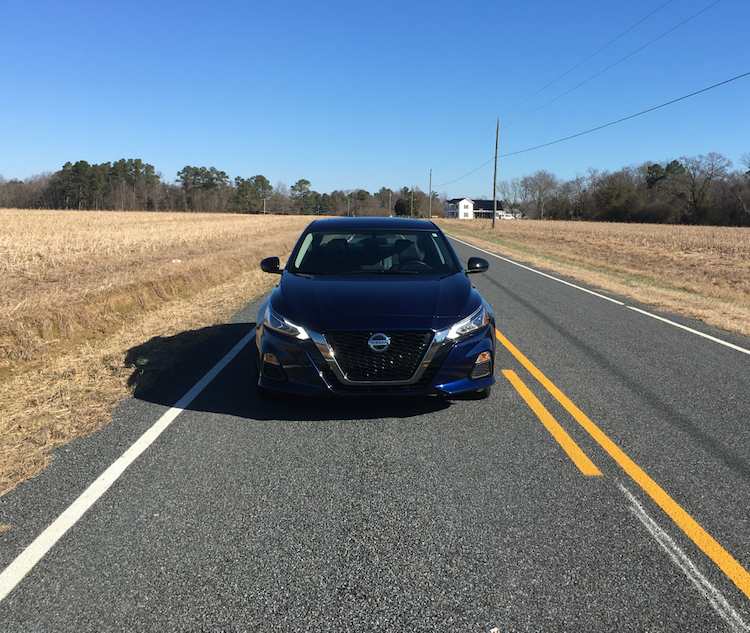 Your best bet may be the EX-L edition, what brings in available road and collision mitigation, forward collision warning, and lane departure warning. Add in the navigation and the rear entertainment system, and your final price comes in around $40,000.